TEA POT, 32 OZ PORCELAIN, CAC CHINA. 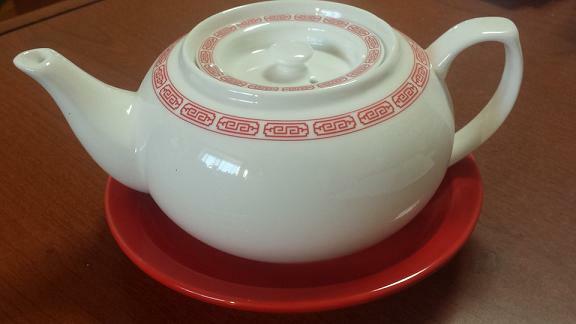 Durable china with sunkin lid, bright white, with red design. Sold each / 12 per case. ‪#‎TPW2‬ - SPECIAL $5.99 EACH! ‪#‎L6NRR‬ - RED PLATE- SPECIAL $1.99 EACH ADORABLE SET! ONLY $7.98! Great gift idea! ~ While quanities last!